Why You Should Buy from Langan Volkswagen of Vernon! Why You Should Buy from Langan Volkswagen Vernon! If you're a Connecticut driver looking for a stress-free, engaging automotive experience, Langan Volkswagen of Vernon is the right dealership for you. We're staffed not with your average salespeople, technicians and finance experts, but with true VW enthusiasts who genuinely love the brand. We think you should be excited to buy a new Volkswagen, and we promise we're looking forward to helping you find the VW that's right for you. We offer a real hometown feel at our Volkswagen dealership near Hartford, CT, and we bet you'll notice the difference from the moment you walk through our doors. Our dealership prides itself on its straightforward process, friendly service and passion for Volkswagen, and we want to share that enthusiasm with you. 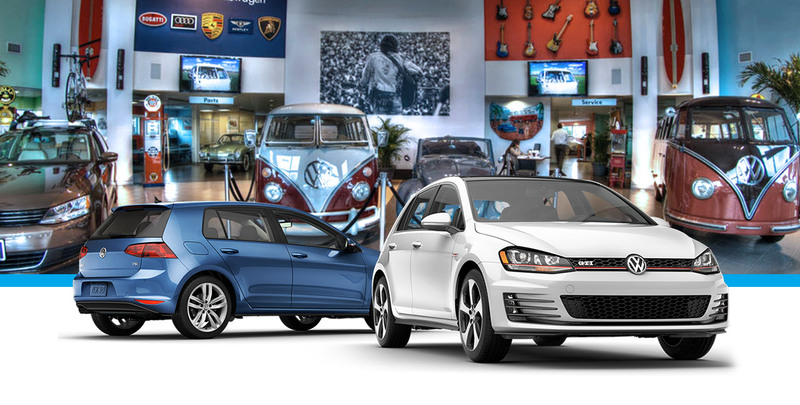 Visit Langan Volkswagen of Vernon today for all of your VW sales and service needs, and experience the difference! Why else should you bring your business to Langan Volkswagen of Vernon? Every eligible pre-owned Volkswagen we sell comes with an extended factory warranty and includes a WorldAuto certification that assures you it's been put through a rigorous 112-point inspection. You'll get peace of mind when you buy used from us! Our service department is open until 6 p.m. Monday through Friday and until 1 p.m. on Saturdays for your convenience. If you're just looking for routine maintenance, check out our quick lube lane that can get you back on the road in no time. Our home-like waiting area features complimentary Wi-Fi, refreshments, a children's playroom and more. You'll enjoy your time at our dealership!